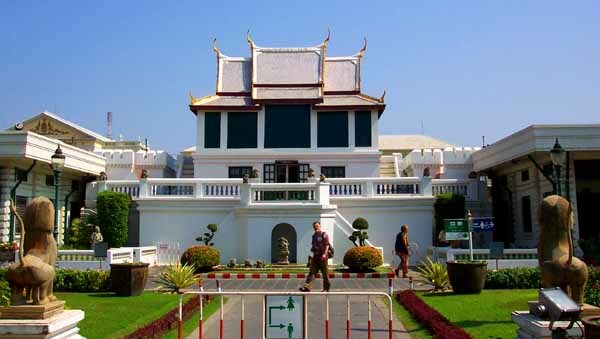 Between the eastern gallery wall and the outer wall of the palace are of row of eight multi-colored prangs (pagodas). Two of the prangs are actually enclosed by the gallery, which had to be extended when the upper terrace was built within the temple. The line of different colored towers called prangs. Each of the prangs is decorated in a different pastel color of Chinese porcelain. 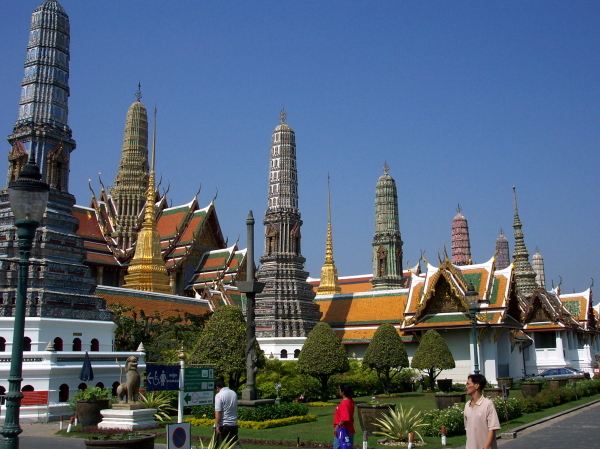 Each pagoda is said to represent one of the eight elements of the Buddhist religion. A 'Reviewing Stand' on the east wall. Built into the outer wall east of the Temple of the Emerald Buddha is a small 'reviewing stand' where the supreme patriarch would bless commoners in days gone by. There's a much larger reviewing stand for the royal family much further down, but it can only be viewed from the outside.